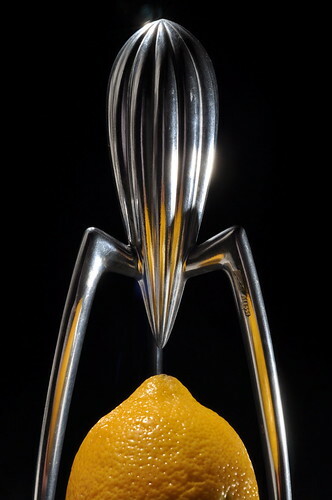 Lemon juicer by Philippe Starck. Strobist info in setup shot (first comment). Allowed myself to straighten in post and remove a speck of dirt in bottom right corner.